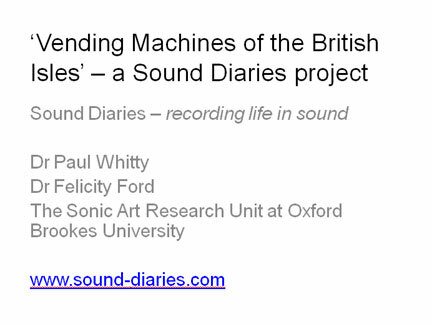 On 19th November 2011, I went to Boring 2011 to give a presentation on the Sound Diaries Vending Machines of the British Isles project. The presentation involved a general introduction to the concepts behind Sound Diaries, and posed a key issue which sound-enthusiasts face, which is “what do you record when all sound seems interesting?” I presented Sound Diaries as a venture set up to explore different methodologies for documenting everyday reality. 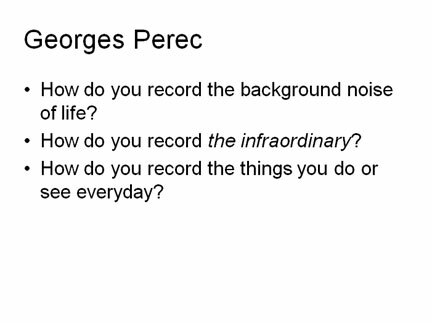 Theming the act of making field-recordings was presented as one strategy for dealing with the mass of sonic information that we face each day. 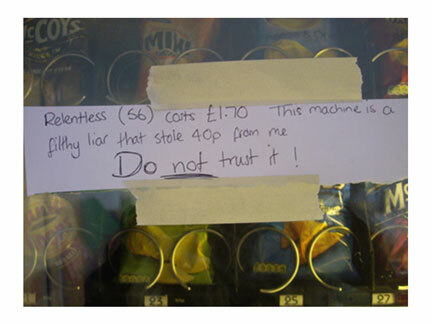 In Vending Machines of the British Isles for example, the focus for regular recording activities became the incidental interactions which people have in the course of daily life with vending machines. It was through this narrow lens that Sound Diaries accrued a very specific – and collective – portrait of this unconsidered aspect of contemporary life. 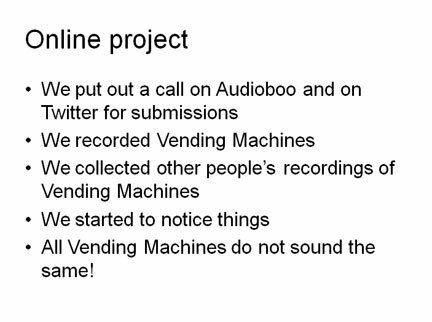 The vending machines with which myself and Paul Whitty have most daily contact with were explored as sites of sonic interest and meaning, and the backstory of our mutual interest in Vending Machines was explained to the audience at Boring 2011. 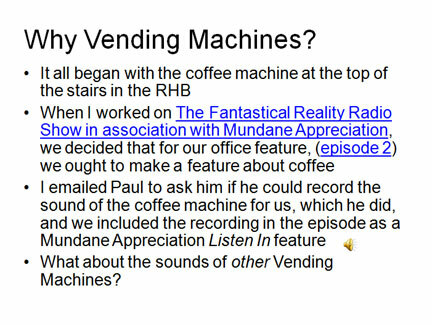 I described the coffee-machine in the Richard Hamilton Building with which we regularly interact, and its brief moment of fame in Episode 2 of the Fantastical Reality Radio Show in association with Mundane Appreciation commissioned by the Sonic Art Network and Radio Reverb in 2008. …and the way that the humble vending machine has the ability to induce such outrage when items are not correctly dispensed, or when money disappears into the inscrutable mechanisms within. How should we take account of, question, describe what happens every day: the banal, the quotidian, the obvious, the common, the ordinary, the infra-ordinary, the background noise, the habitual? I then shared my own strategy for documenting “the background noise” of everyday life in relation to the idea of vending machines. This was to affix contact microphones to the vending machine which I use most regularly, at Oxford Brookes University, in the Richard Hamilton Building, and to list its contents (it was actually very empty when I did this) in my notebook, whilst contemplating the sound of its internal refrigeration mechanism. An engine buried deep in the machine HUMS and murmurs; invisible cooling mechanisms resonate. It is a sad selection, read like a page from the top left corner; item codes and prices. McCoys flame-grilled steak crisps – 3 crumpled packets; press 11, 60p. 13, 15, 17 are all empty. The metal spirals perhaps recently having held crisps – I’d guess, from looking at their width – in flavours we can only speculate on. 21, 50p. 23, 50p. 25, 50p. These slots too are empty. What treasures did they hold? Maybe mini-cheddars or twiglets, slightly overpriced. 27, perhaps expensive crisps were once here? 60p. 30, 50p. 31, 50p. 32… a blank label. Indeterminate price. Whatever was held at 45 and 46 cost 50p, like the lone Nestlé Drifter, available for fifty pence and typing in the code “47”. This next row held small things; the sections are not wide as in the CRISPS row above; no… this row of diminuitive spirals once held small items; chocolate bars, pastilles, mints. At 33, for 50p, a barrage of Maynards winegums. At 34, nothing. 50p. Code “35” and fifty pence will get you EXTRA STRONG MINTS. 36 is empty. At 27, Rowntrees fruit pastilles; 50p. You can see more at 41, though no price is listed there. 40, 42, 43, 44 are curiously defunct; no confection to vend; no prices. The gears within churn and groan, a new bassiness to the sound as I listen and list the prices from what I presume was the expensive drinks row, though it is empty now. 50, 80p. 51, no price. 52, £1.10. 53, £1.30. 54, £1.10. 55, £1.30. 56, £1.30. 57, £1.30. 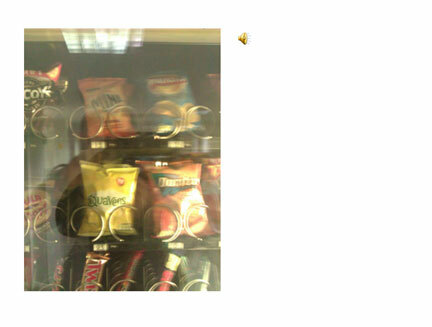 The bottom rung of this vending machine holds mid-price items ranging from 65p – 80p. 1p, 2p, 5p, 10p, 20p, 50p and £1 coins are accepted and CHANGE IS GIVEN. But I do not insert my coins, for I don’t want a DRIFTER, any WINEGUMS, MINTS or PASTILLES. And I don’t like crisps to come refrigerated. So I listen to the machine, its vending mechanisms stilled but its refrigeration engine whirring deep within, working to maintain an even temperature between 8.1°C and 9.4°C. A man comes by on his mobile, he is angry and I gather from what I overhear as he reports this vending machine – reading its ID number off the front – that he is going to be reimbursed for £3.10 which has been swallowed by the machine.